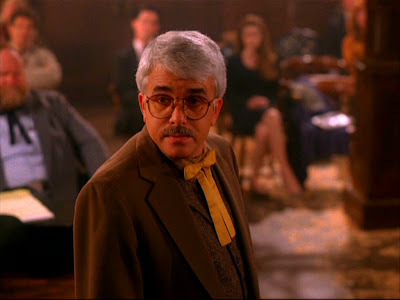 TWIN PEAKS ARCHIVE: Exclusive Van Dyke Parks interview! Exclusive Van Dyke Parks interview! Twin Peaks Archive: Were you aware of David Lynch and/or Twin Peaks before getting the part of defense attorney Jack Racine? 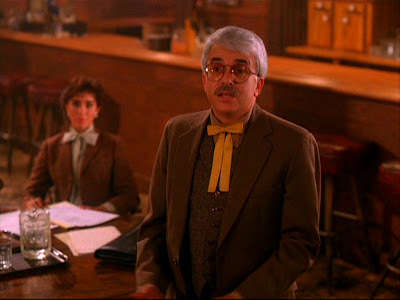 Van Dyke Parks: I knew there was a David Lynch before getting the part of the defense attorney. I was aware of the mania surrounding the famous series one conclusion. Yet, i'd not heard/seen any of Lynch's work, nor seen one episode of the show. Generally, i stay out of the present tense. Twin Peaks Archive: How did the part come about for you? Van Dyke Parks: I knew the director of that episode, since about 1969, as a neighbor in Laurel Canyon. He saw me play a cameo as a prosecuting attorney in Nicholson's 'Two Jakes' picture, and figured i could remember my lines. Twin Peaks Archive: How long did the part take to film? Van Dyke Parks: It was less than an entire day of honest labor. 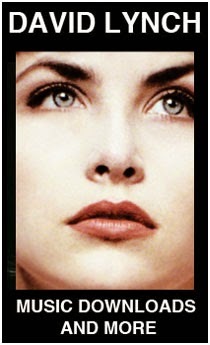 Twin Peaks Archive: Do you keep up with or are you friends with any of the cast members or crew? Van Dyke Parks: Amazingly, i had met, and worked with Royal Dano, back in 1955 Mr. Dano was the judge in the final episode. In 1955, i played the title role in 'Elisha and the long knives' a live tv drama, with Mr. Dano cast in the pricipal adult role. Our family loved the Dano family and stayed in normal contact (Christmas cards and the like) About forty years passed, and we met again on the set. That alone was a completely emotive event for me. Dano was a giant, in my view. He was also my favorite portrayal artist of Abraham Lincoln. His singularly sympathetic face held the wisdom of the ages. Twin Peaks Archive: Did you ever think there would be such a successful resurgence of the SMiLE project? Van Dyke Parks: Yes, but not in my lifetime. Twin Peaks Archive: Do you plan on writing an autobiography? "........so, I was at lunch one day with Barry Gordy Jr. It was my treat. I said 'Sure Barry, no prob. Be my guest'." The foregoing, just a sample of the incredible challenge i'd have in writing a plausible rear view for the public. All my best wishes to you Jerry. Thanks for including me. Much fun. Make sure and check out Van Dyke Parks brillant solo album 'Song Cycle' Also, 'Smile' should not be missed. Thanks to Hank_Jennings for the screenshots. This was such a cool interview, I haven't known quite what to say. It's so interesting to me the connections that are woven through our lives; who we meet, work with, become friends with in whatever capacity. But even more so, is what can happen in an artistic environment. It often does confirm for me there is a force in the universe that either guides all this, the person involved making their own luck through hard work and endurance, or equal amounts of both. Van Dyke Parks being on Twin Peaks is like Melvin Belli playing the Gorgon on TOS, only much more eclectic, like Twin Peaks itself. It's interesting that so many people can watch the series and not know who Van Dyke Parks was. However, perhaps that evening you hear some music written by him and don't put the pieces together. Like the series itself, it's a puzzle that only time can solve.